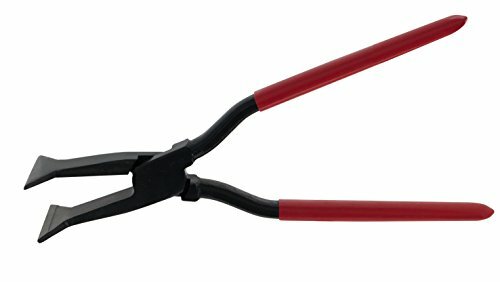 Stubai 282059 Seaming pliers''R-8'' straight KTL/PVC-coated 60mm by Stubai at N Online Agency. MPN: 282059. Hurry! Limited time offer. Offer valid only while supplies last. Seaming Plier with welded radius 8 mm on one jawside. For smoother rounder bends, especially when working with zinc, aluminium and copper materials. Seaming Plier with welded radius 8 mm on one jawside. For smoother rounder bends, especially when working with zinc, aluminium and copper materials. KTL coated, with lap joint and red plastic coated handles. If you have any questions about this product by Stubai, contact us by completing and submitting the form below. If you are looking for a specif part number, please include it with your message.